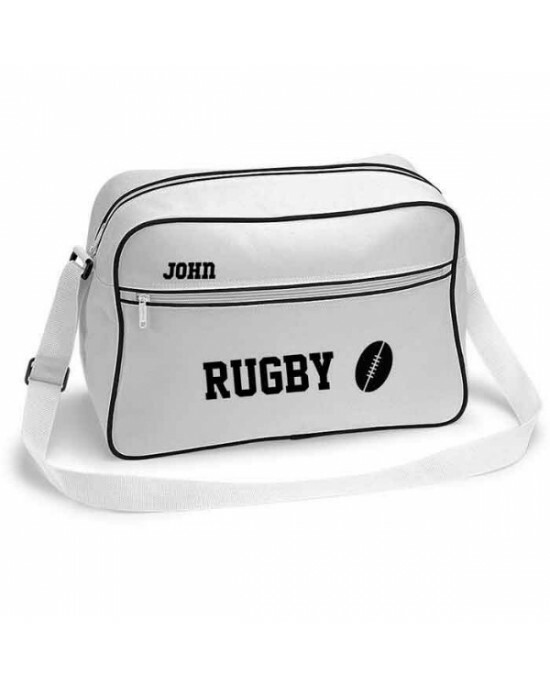 Personalised Rugby Retro Sports Bag. Black With White Or White With Black Colours. Quality Personalised Kids T Shirt.A Lovely Quality Cotton Feel T Shirt. 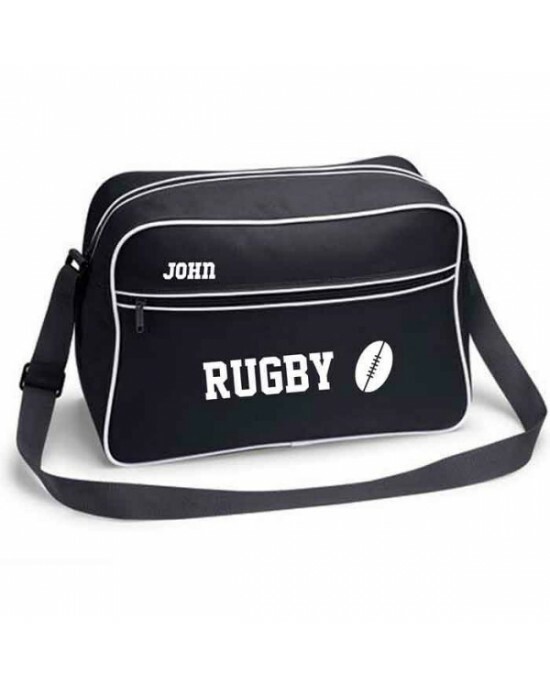 Personalised with your choice of Name. The Printed Colour Image will ..